Scour Dungeons: Guide & Contest! Welcome to our guide regarding Scour Dungeons – a method for adventurers to test themselves against all manner of Nuanor’s villains in a rewarding PvE arena format. Once you have claimed your full prize, you may even transform into a monster yourself and pester fellow adventurers who are looking to do the same! Want to get a taste on what's expecting you? First, watch our new trailer about one of the scour dungeons - Oneiric Trials and once ready, try for yourself scour dungeons to participate in our GIF contest! Scour Dungeons are areas where you can slay all manner of monsters within your level range for huge amounts of experience. Operating much like a Daily Quest (which can be accessed using Ctrl+U or U), you will only be able to kill a certain number of monsters per day in this manner, though the maximum number can be increased over time. There are many Scour Dungeons, all of which contain numerous threats (monsters) ranging from level 20-73, including special Elite Monsters. Not only do Scour Dungeons provide great overall leveling experience, but are also the best way to tier-up your equipment – the benefit of high respawn rates in an area where rounding up your targets can be performed with ease. It is important to note that, when grouped, you do not share the experience with party members – ALL party members receive the total amount of experience at the end of the run, encouraging cooperation. In addition, the number of enemies you can kill in this manner will only recharge by 180 per day regardless of your maximum monster cap. Everyone is granted 1 hour of Double Experience once per week, which can be turned on and off at any time. Once inside any of the dungeons, a nearby NPC allows you to freeze and/or unfreeze your weekly double experience at your leisure. This uncomplicated system can be easily overlooked, so keep it in mind – there may be specific moments where you really want to get that experience boost, or others where you’d like to save it for a later moment. To get your weekly double experience, talk to the NPC and select the first option (Collect Double) and enter the number of hours (1) per week. To freeze it, click on the second option (Double Thaw) and confirm. NOTE 1: Double experience DOES NOT stack with Small Magic Pill. NOTE 2: The premium service allows you to freeze/unfreeze the double experience remotely. Life Skills can increase the maximum number of monsters you can kill in a day, but does not increase the number of monsters that are recovered per day (180). You can also recharge a few of your maximum kills by using Brews, obtainable through crafting (Cooking Tree – Alchemy – 30, 70 or 90 monster brews), purchasable from an NPC inside the dungeon (30 monster brews), or earned through weekly missions (50 monster brew). However, bear in mind that you can only drink 1 brew per day. Once you reach your monster limit, a window will pop up asking if you want to transform into a daemonic beast seeing you already gained maximum experience for the day. If you accept, you will transform into an Elite enemy on the floor you are currently in and will be able to attack players using 1-4 skills. NOTE: Your HP and damage will be readjusted to suit the floor you are in, thus it will be difficult to outright kill other players by yourself due to the stat readjustments. As expected, players will also be able to attack you while you are in Daemonic form. If you die, you will be teleported to the dungeon entrance. To return back to normal, you’ll need to leave the dungeon entirely. Aside from attacking or being attacked, you can also collect Essences (each floor has different essences) that can be exchanged into Morph Runes at the NPC on the current floor. This method is primarily a temporary glamour – a means to show off or surprise your friends. You can get Morph Runes by talking to the NPC on the first floor of all dungeons. To Morph into a monster, simply right click the Morph Rune. NOTE: Prices between runes may vary from dungeon to dungeon. Unlike the Daemonic Morph, you cannot attack players or use any kind of skills. To leave the morph state, click F8 or the red arrow right next to the skill hotbar and you’ll return to your old self. Do you have what it takes to tackle the challenges of Scour Dungeons? Then join our GIF contest on our social media channels! From March 24th to 29th, head over to our official social media pages and post a gif of the monsters in a Scour dungeon with the hashtag #ROTrials. Whether it be one of your unfortunate friends who have transformed or the ones that they can kill - bring life to the Scour Dungeons! Only entries uploaded to and shared via Facebook and Twitter with the hashtags #ROTrials and #GIF between March 24th and March 29th (23:59 CEST/11:59pm PDT) will be eligible. Please make sure you have your messages open and you have liked our page. Content must be related to Revelation Online. Content must include monsters from the Scour Dungeon Oneiric Trials. The gif can feature several characters – however, only the creator can be awarded a prize. 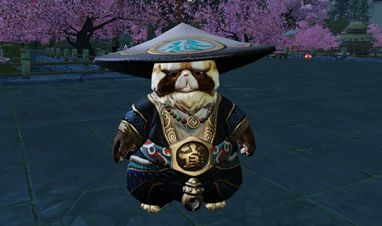 Entries cannot contain any material that violates the Revelation Online Forum Code of Conduct, Forum Terms of Service or My.com account Terms of Service. The winners will be determined by the subjective judgement of the Revelation Online team and winners will be announced a few days later. We look forward to seeing your wacky creations and wish you the best of luck, both in-game and in the competition. There are many Scour Dungeons to conquer, hero. Show the residing monsters your true power and enjoy the experience it provides. We’ll no doubt be creating articles on some of the specific Scour Dungeons in the near future, so until then, we hope you found this guide insightful. Thank you for reading and good luck in your next adventure! Learn more about how to improve your equipment with the gear awakening system!